For and against the death penalty. I ask my students to comment on each picture and make inferences. 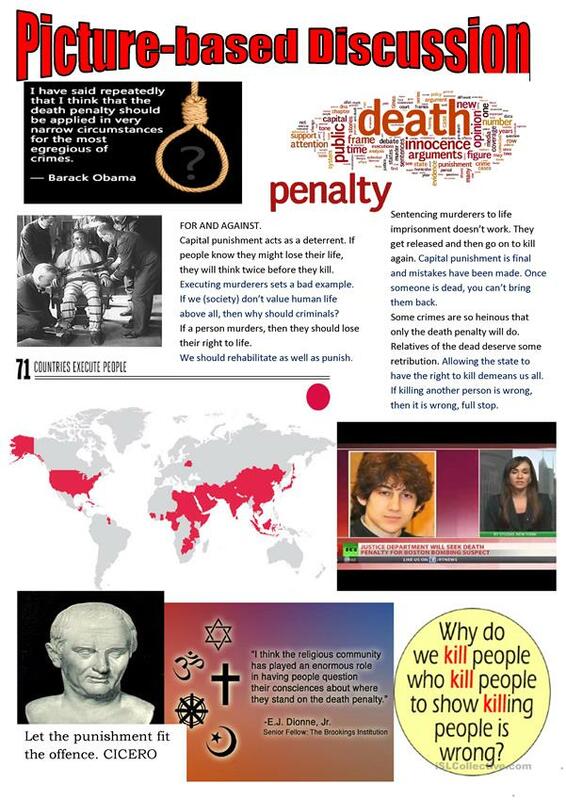 Then they prepare a short talk on whether they support or reject capital punishment. Still a useful debate which makes them think. The above downloadable printable is best suited for high school students and adults at Upper-intermediate (B2), Advanced (C1) and Proficient (C2) level. It was designed for improving your class' Speaking skills. It focuses on the topic and words of Debate.